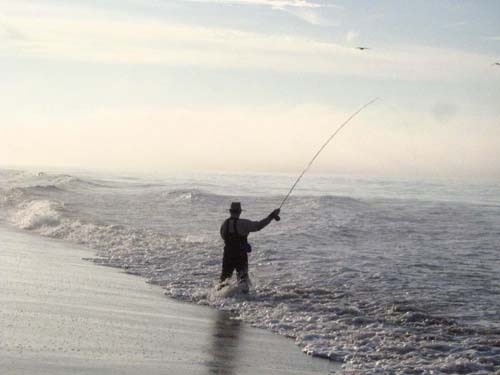 Thirteen PFF fly fishers joined 12 members from the Santa Cruz Fly Fishers to fish the surf off of Rio Del Mar beach, just south of Santa Cruz. Mike McGuire and I arrived at the beach just after 6am, very early by my standards, so early in fact that the local Starbucks was not yet open and the sun was not officially up. 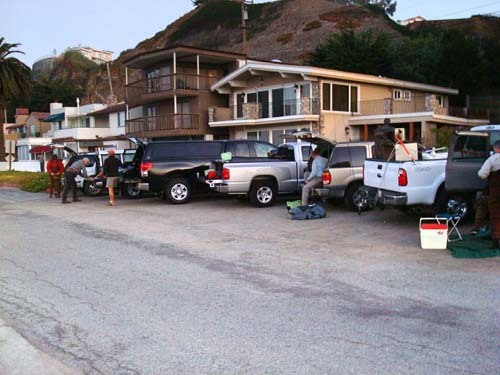 That being said, Rich Slade and a couple of the Santa Cruz contingent were already gearing up when we arrived and within a few minutes the parking lot was full of eager fisherman. 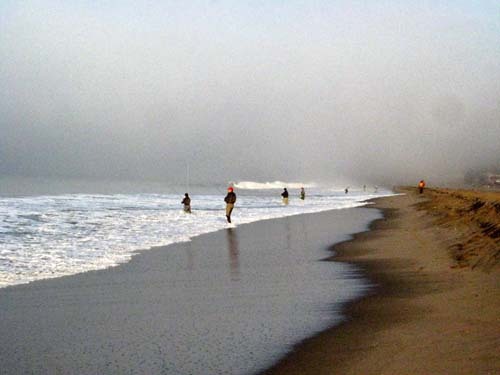 Although the forecast was for rain the weather gods delivered mild temperatures, an almost imperceptible northern breeze and a little offshore fog – in other words, a perfect day. 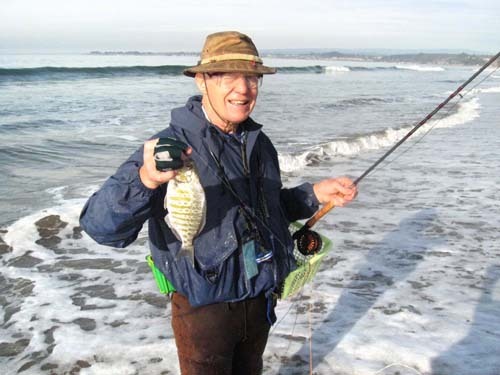 Sam Bishop, our host and fishmaster gave a brief clinic on surf fishing at Rio Del Mar. In addition, Sam brought enough flies for everyone, and a few stripping baskets for those, like myself, who left theirs in the hallway at home. Both clubs were on the water by 7am and fished until just after 11. The fishing was good, the catching so-so. One of the Santa Cruz guys, fishing to my left caught 5, Mike McGuire was the lead angler for our group with 2 (see photographic evidence). I also understand that Sheree caught at least one. I was not as lucky, joining the ranks of the majority – no fish but lots of casting practice. 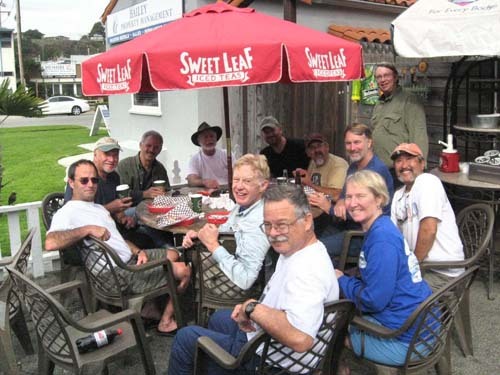 A few of us met later at the local deli for breakfast, beer and coffee. We spent the next couple of hours sitting on the patio swapping lies and enjoying the great weather and the company of fellow fly fishers. This is a fishout that should become a regular on the PFF calendar. Hope to see you next year.